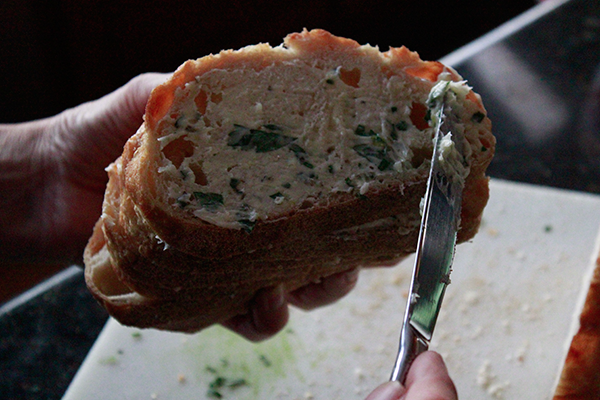 With onions, rosemary and chicken stock. 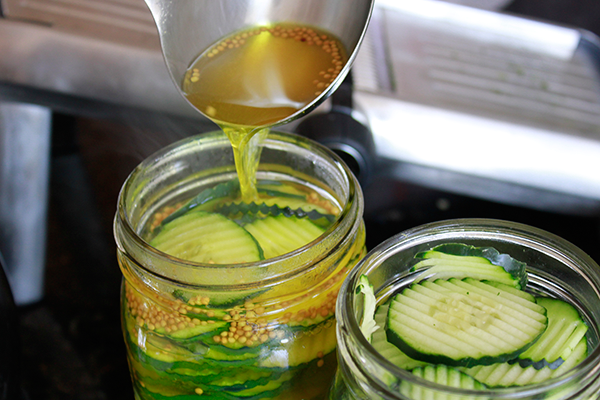 Oil, vinegar, salt, pepper, sugar and mustard - seeded or smooth. 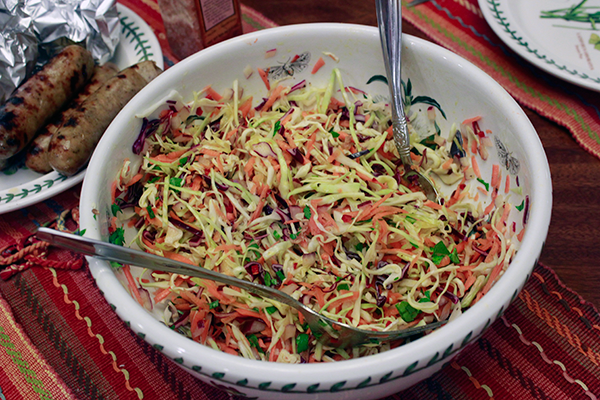 Red and green cabbage, carrots and its own special rice wine vinegar dressing. 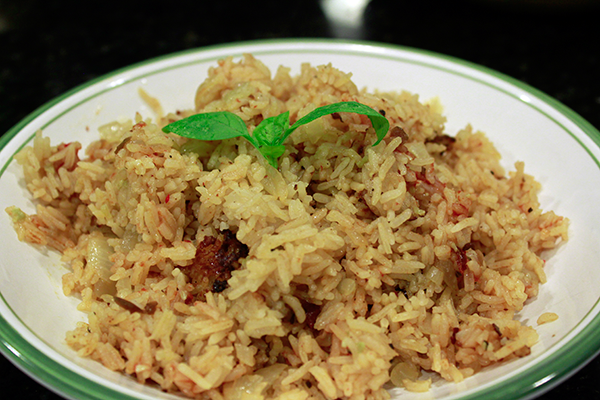 Simple curry needing turmeric, cumin, ground coriander, chili and garam masala - can add chicken. 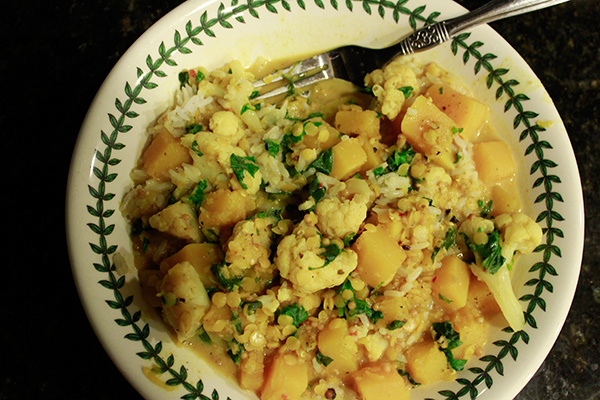 Uses bottled Korma paste, mustard seeds, cauliflower, pumpkin and red lentils. 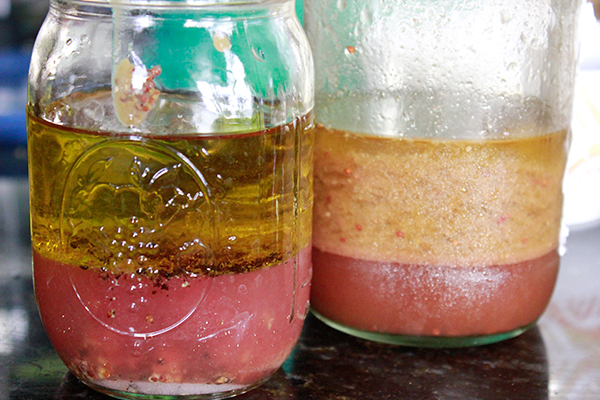 No one recipe - but this from Jane (with frozen fruit) will get your started on your way. 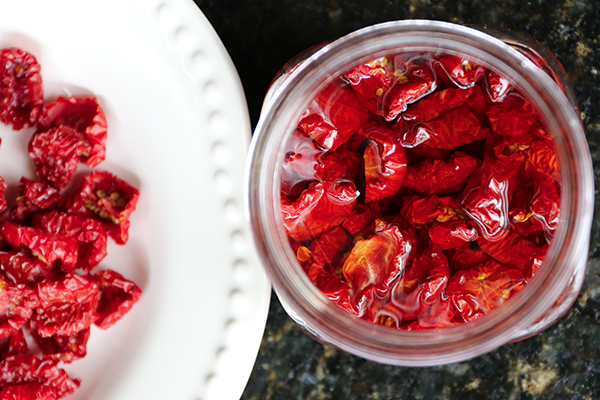 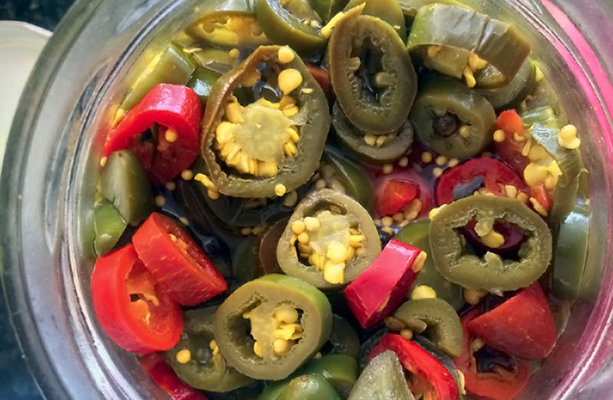 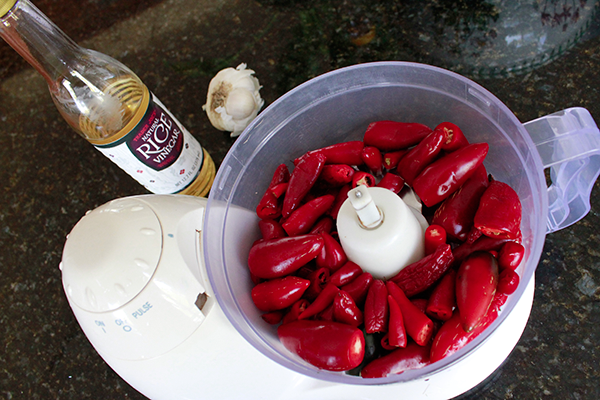 Onion, garlic and chipotle chilies. 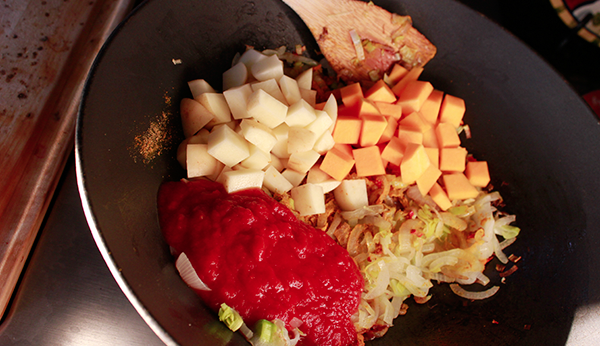 Starts in the fry pan and ends in the rice cooker. 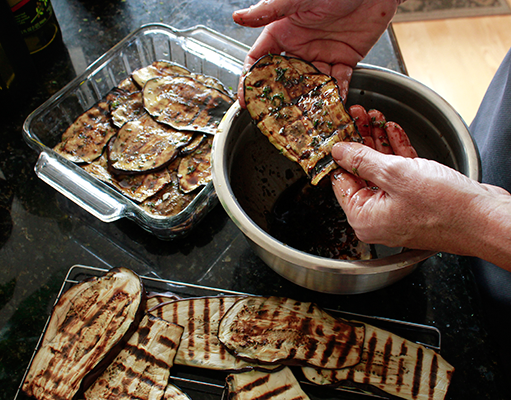 Sliced and grilled eggplant, olive oil, balsamic vinegar, thyme, garlic and salt. 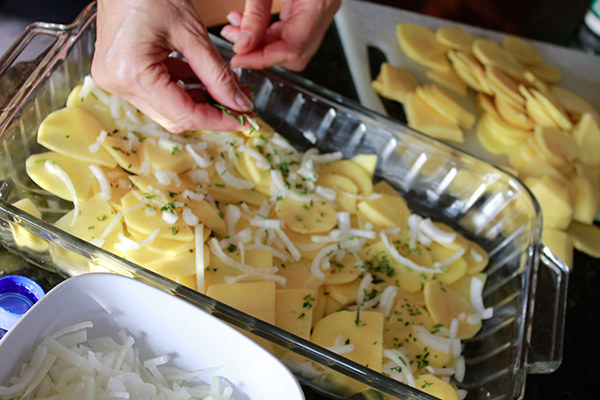 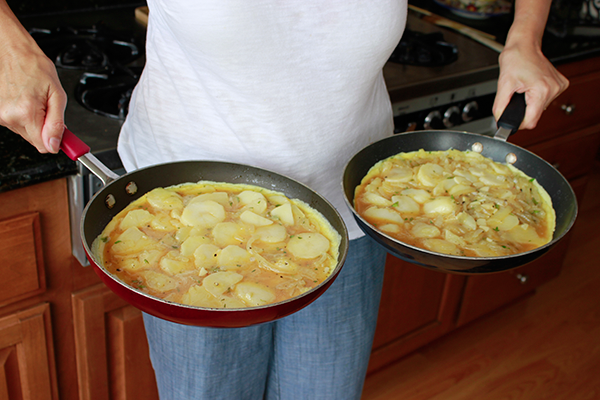 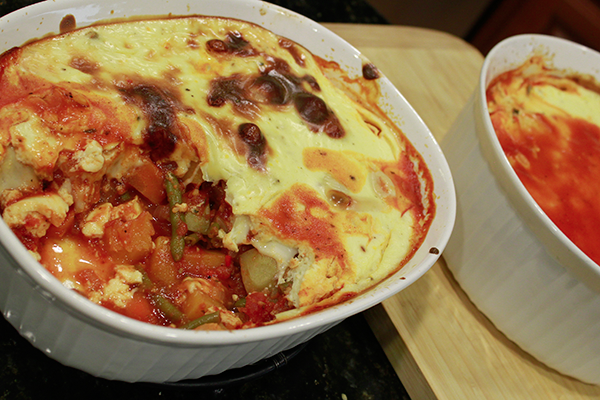 Another recipe from Gus's time in Spain: potatoes, onions and a ton of eggs! 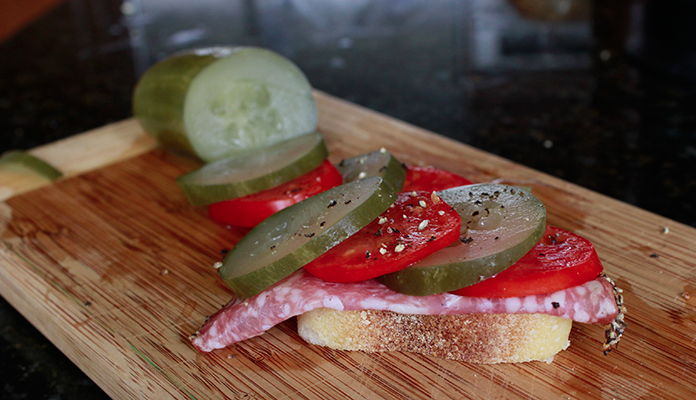 Three variations: regular, anchovy bread, and the quick method: buttered toast with garlic rubbed underside. 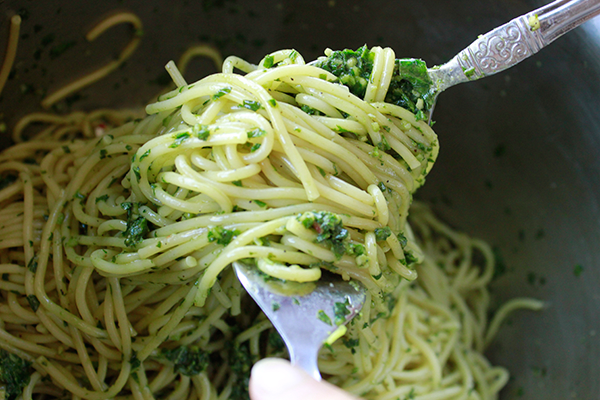 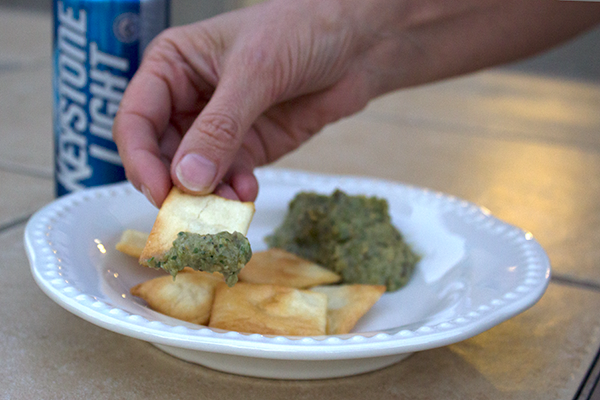 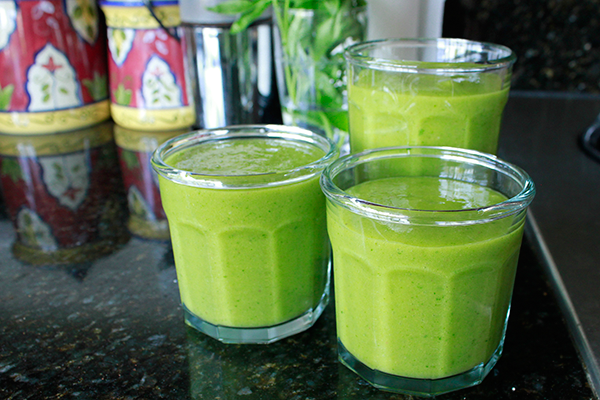 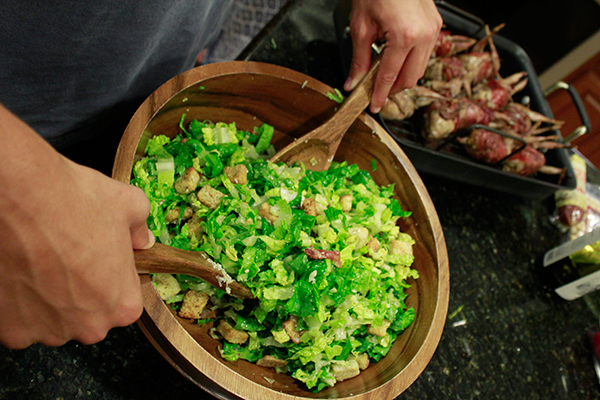 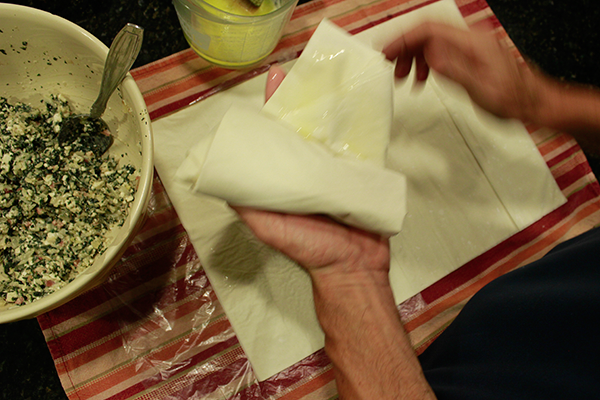 Basil, oil, Parmesan cheese and your choice of pine nuts, walnuts or pecans. 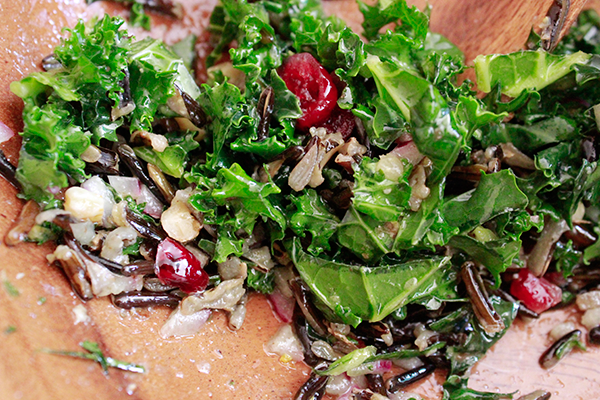 Using chard or kale, rice, cottage cheese, feta, Parmesan, nutmeg and optional bacon. 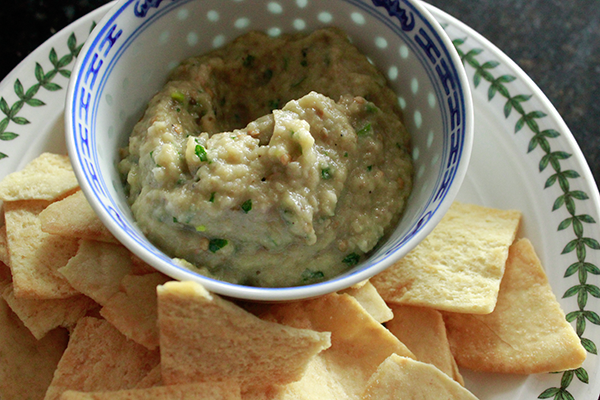 Variation on baba ghanoush needing capers, lemons, spring onions & molasses. 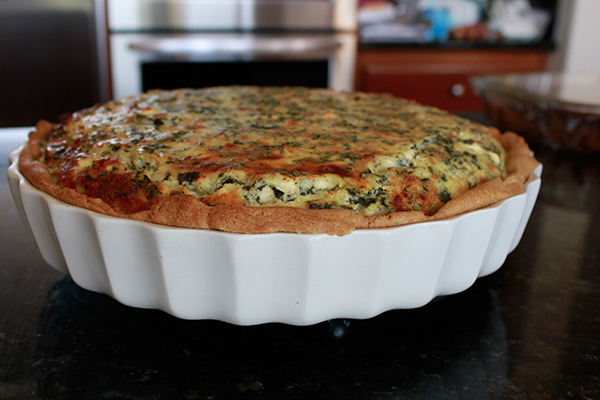 Spinach or chard, feta, eggs, sour cream: Included here as the bacon is optional. 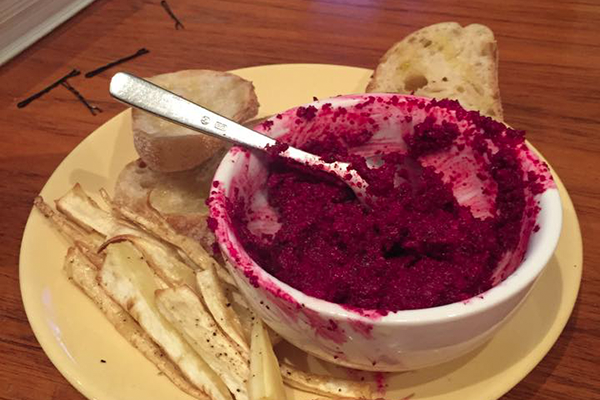 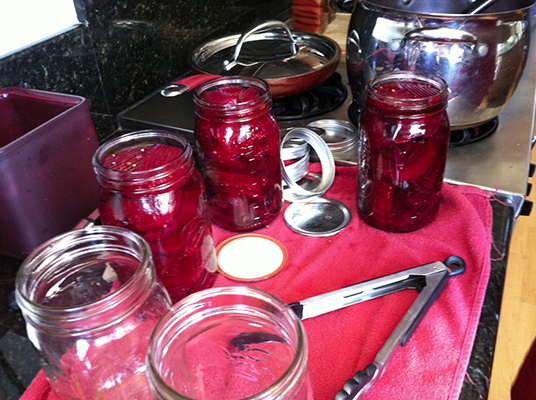 From Emma: needs fresh beets, cumin and yogurt. 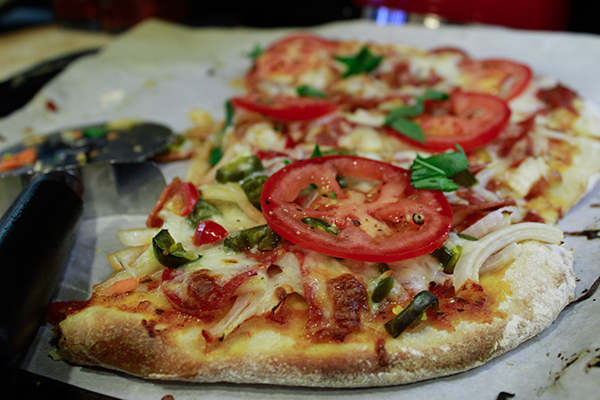 Vegetarian, Thai chicken and ham and pineapple variations using a frozen pizza dough. 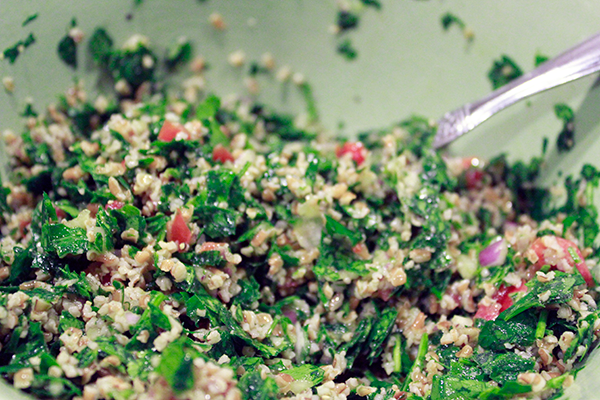 Parsley and cracked wheat salad great with lamb kebabs served with pita bread.